The Personal Contact Phase of DUI detection involves the face-to-face observation of the driver and an interview of the driver for signs of possible intoxication. During this phase, the officer will administer simple pre-exit sobriety tests and asks questions to determine if the driver may be impaired. Then, the officer has to decide whether to instruct the driver to exit the vehicle for further field sobriety tests (which is Phase Three). It is at this stage of the DUI investigation that the police officer will decide whether or not to let the driver go, or whether to detain them further for a more in-depth investigation. Face to face observation with a driver allows an officer to detect any clues that a driver may be impaired during a stop for a suspected DUI in Georgia. There are a few phases in the DUI detection process. Usually, the first phase is when an officer observes a driver in motion and suspects the driver of driving while impaired. The second phase is the personal contact phase, where the police officer comes face-to-face with the driver. 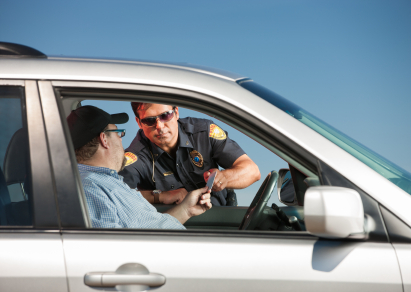 The typical DUI Stop involves the officer seeing the vehicle in motion and signaling it to stop, but sometimes the DUI detection phase begins with Phase Two (Personal Contact), such as in a roadblock situation or responding to an accident. First, the officer approaches the driver’s vehicle. This face-to-face observation allows the police officer to use his senses to detect any clues that the driver may be impaired”for example, his sense of sight, hearing, and smell. These techniques divide the driver’s attention between various tasks and provide the officer with evidence if the driver displays any signs of impaired condition. There are additional techniques that the officer may employ, such as requesting the driver to recite a part of the alphabet or reciting numbers in reverse sequence. These tasks require the driver to concentrate continuously and recall where to stop reciting. An impaired person’s ability to divide their attention between multiple tasks is decreased. At A. Bishop Law, we understand that all stages of the Georgia DUI investigation are important, so we carefully examine our client’s cases to determine whether there was any error at any point in the process.